Update: Grandma Nittis will be closed for an undetermined amount of time as of October 26, 2017. If you’re in the neighborhood before then, make sure to stop in! One early Sunday morning, I walked over to one of my favorite restaurants. Taipei is finally starting to cool down, and it’s such a treat to be able to walk around outside without becoming bathed in sweat. Grandma Nitti’s Kitchen, located on Shida Road, is a Taipei institution, which has been around for 24 years. It’s especially popular among students and the English speaking community in Taipei. Grandma Nitti’s Kitchen has a special place in my heart, because they have been around since I first arrived back in Taiwan, as a college student. Back then, I couldn’t read Chinese very well, and Grandma Nitti’s was a place that I could really read the menu, and order food that I ate growing up. It may be a little hard to imagine, but 5 to 10 years ago, Western style food was just starting to take off in Taipei, and Grandma Nitti’s was one of the places where you could get genuine pancakes (served with maple syrup!) and hash browns. 10 years later, the menu remains the same, with a few minor adjustments, in terms of portion size options, and price increases. However, the service is still warm and friendly. 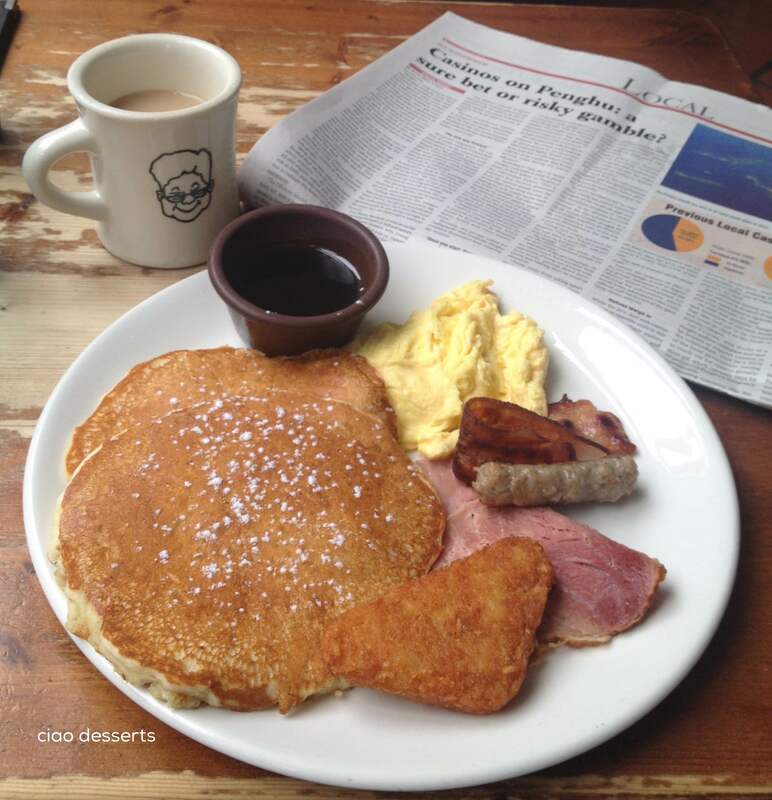 The pancakes are fluffy, and comes with generous, free coffee refills. It’s also not as noisy and overcrowded as other places in Taipei that serve similar foods. In my opinion, Grandma Nitti’s Kitchen remains one of the most perfect places to spend an early weekend morning, reading the paper, before the rest of the city wakes up. I’d love to visit Taipei soon! Looks like their cuisine is a must-try! !